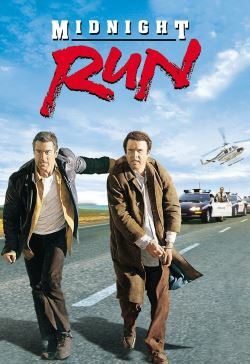 Bounty hunter Jack Walsh Robert De Niro is sent to find and return bail jumper and former Mafia accountant, Jonathan "The Duke" Mardukas Charles Grodin. The FBI has had no success in locating The Duke, so when Jack finds him in next to no time, they are a little embarrassed. In order to collect his $100,000 fee, Jack must take The Duke from New York to Los Angeles. However, the Mafia and the FBI have other ideas, as does Marvin Dorfler John Ashton, a rival bounty hunter. On their long cross-country trip to LA, the two get to know each other and they build up a strange friendship.